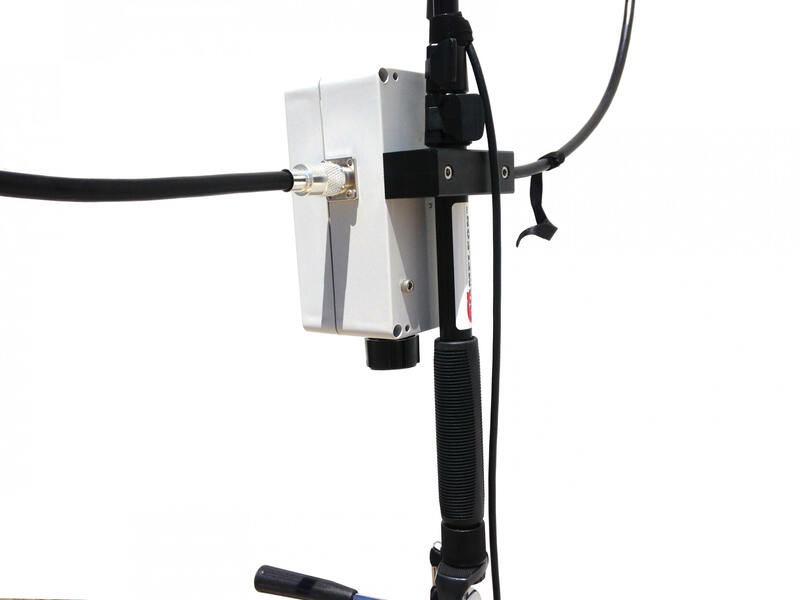 Chameleon Antennas is a manufacturer from the USA who has focussed on the design and manufacture of easy to use, lightweight yet robust portable shortwave and VHF antennas. The F-Loop is the first magnetic loop by Chameleon. The coupling is achieved with a Faraday loop made of a single piece of aluminium, which is extremely solid. 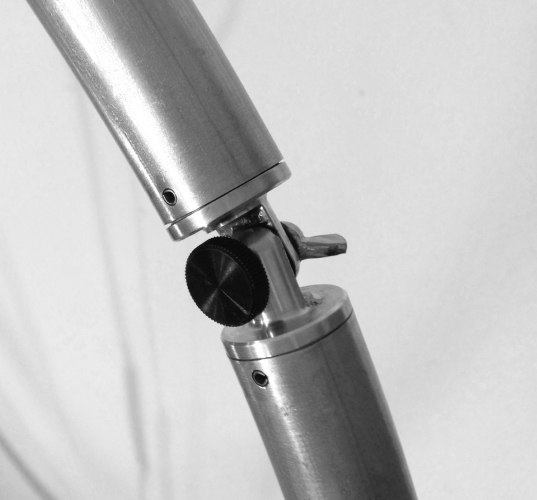 The coupling loop is securely attached to the telescopic stand with a screw. This reduces any variations when installing and tuning the P-Loop, all tuning settings are easily reproducible. 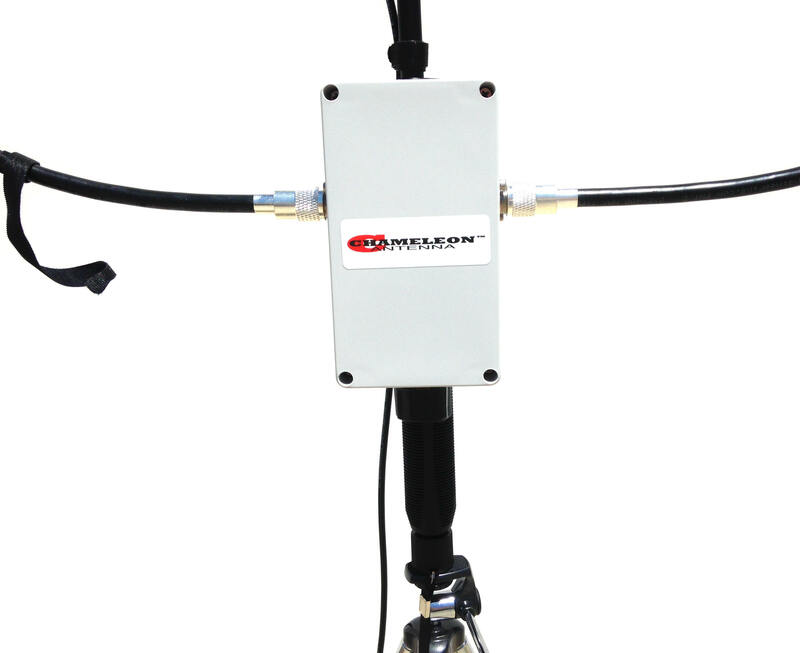 The outer loop of the antenna is made from fairly rigid coaxial cable (LMR-400), which is attached to the tuning bix with two silver plated PL connectors. The fixation of the outer loop to the Faraday coupling loop is done with a Velcro strap. By adjusting the length of the telescopic stand of the antenna the loop form is adjusted to be roughly circular. All in all the installation takes about 2 to 3 minutes. The telescopic carrier has a standard 1/4"-20 thread at the bottom, like it is used for most photo tripods. So you can install the antenna very conveniently on a tripod for operation. The design target for the CHA F-Loop was very low weight, flexible usage options, with a robust construction. 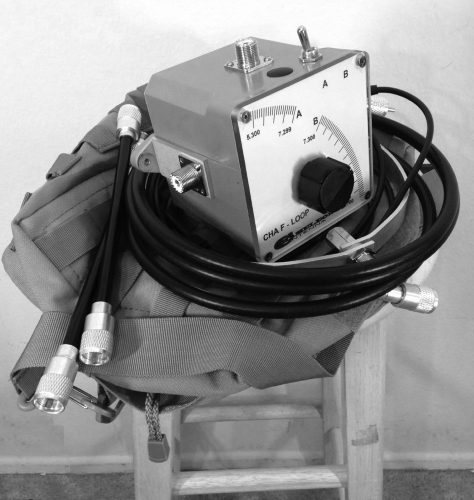 The result is a QRP loop for portable operations which will endure use over many years to come. The CHA F-Loop is constructed from light-weight LMR-400 coaxial cable and an aluminium coupling loop (Faraday Loop). Another construction version, the CHA F-Loop 'Plus' uses a segmented aluminium ring instead of LMR-400, see below. The installation of the CHA F-Loop is usually done in 3 minutes. The aluminium coupling loop is supported by a hardline coaxial feeder. This solid construction is helpful in maintaining a stable SWR even when turning or otherwise moving the antenna. The hardline feeder is connected to the top of the tuning box. 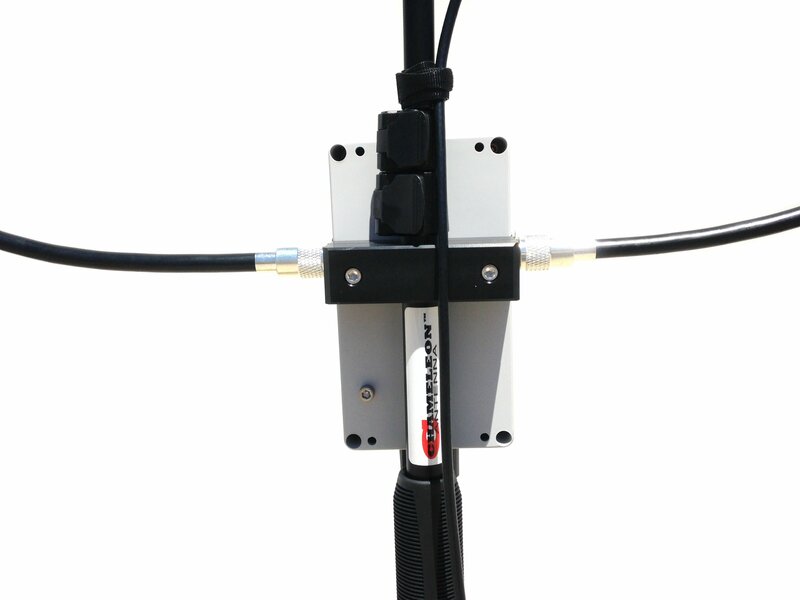 The loop itself is constructed out of LMR-400 coaxial cable and covers all bands from 60 to 10m. With an optional cable extension a double loop can be built which covers even the 80m band. The Chameleon F-Loop is designed for a maximum transmit power of 10W CW or 25W SSB. The tuning frequency range is from 5.3 to 29.7 MHz, with optional extension from 3.5 MHz. A switch on the tuning box selects the lower bands (40m and down), or the upper bands (30m and up). The tuning is done as with many magnetic loops in two steps: at first you tune for maximum noise on the desired frequency, then you transmit with low power and tune for lowest SWR. 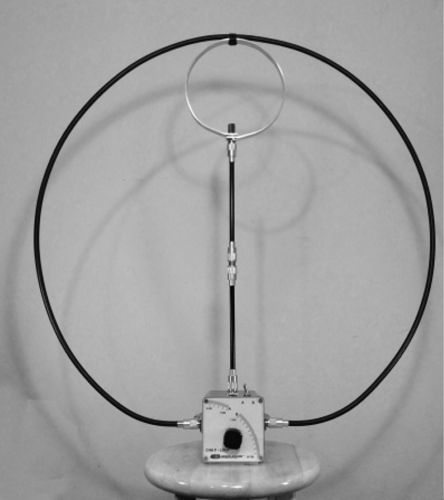 By nature of their design magnetic loop antennas have a narrow bandwidth. This is beneficial, because this acts like a narrow pre selector filter in front of the receiver. The effect is fewer unwanted mixer products and overall improved reception quality. You can expect the usable bandwidths to range from 25 kHz on 7MHz to 150 kHz on 28MHz. This means that these bandwidths can be used without tuning the antenna, beyond these ranges the capacitor of the loop needs to be tuned again. 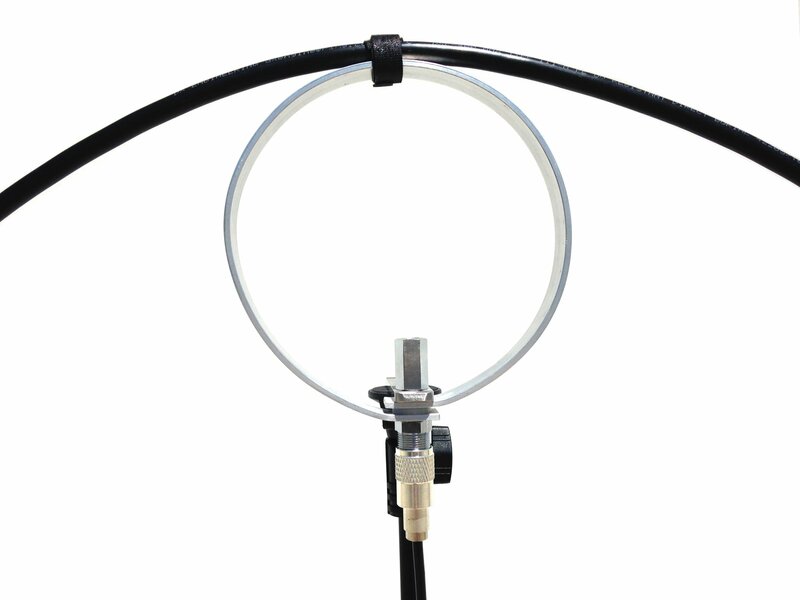 The diameter of the CHA F-Loop built with LMR-400 is 74cm. The antenna is suplied with the tuning box and a coaxial feed line (3.5m long, with RFI choke). 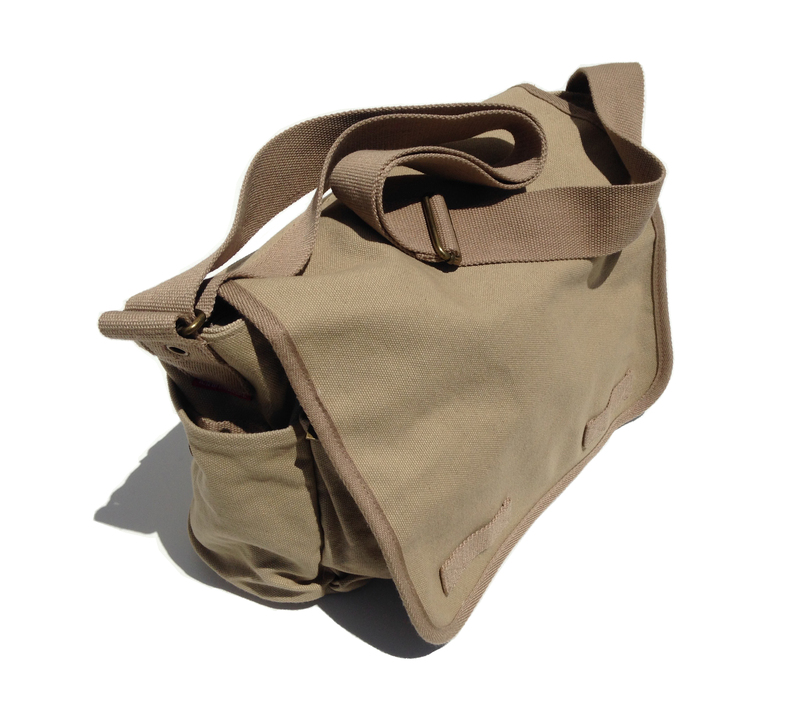 Included in the shipment is also a solid carrying bag. 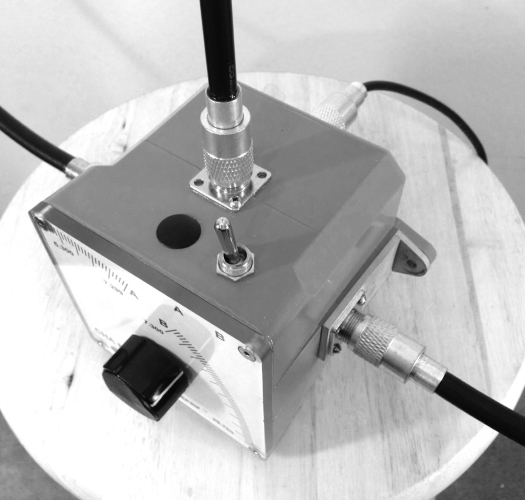 The tuning box is installed on a solid base plate which can be installed on a photo tripod. A 3/8" thread is provided. The antenna supports itself in an upright position when put on a flat surface. The CHA F-Loop is not weatherproof and should be operated only indoors are in a weather protected environment. The height above ground is not very critical, a height of 150cm is sufficient. As with all magnetic loop antennas the proximity of metal constructions can influence the tuning ability of the antenna. 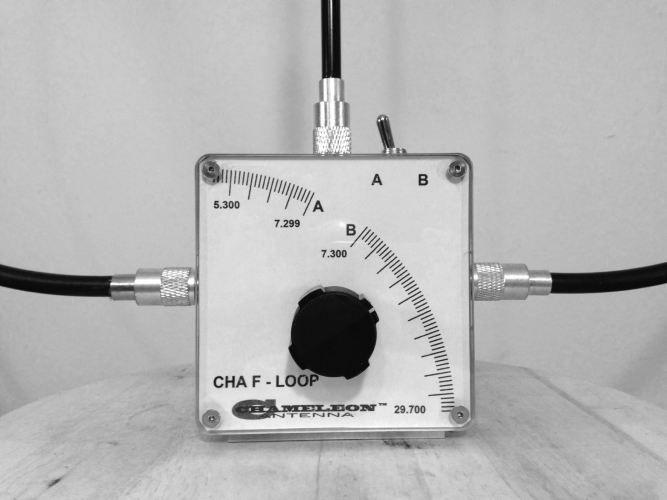 The CHA F-Loop is designed for a maximum transmit power of 10W CS (25W SSB). The alternative CHA F-Loop 'Plus' is constructed with a solid aluminium 25mm tube ring. The three segments are attached to each other by solid screws for a solid electrical connection. The larger diameter of the tube makes the F-Loop 'Plus' significantly more efficient. The diameter of the loop is 91.5cm.